I am thinking about getting this bike. After week 3 we are ahead of Google by just shy of 10 points. Sadly I couldn’t make it out on Saturday because I had the flu. The team did well and broke 200 points. This will be the score we drop. Now we just need 3 or 4 more solid performances and we should be all set. 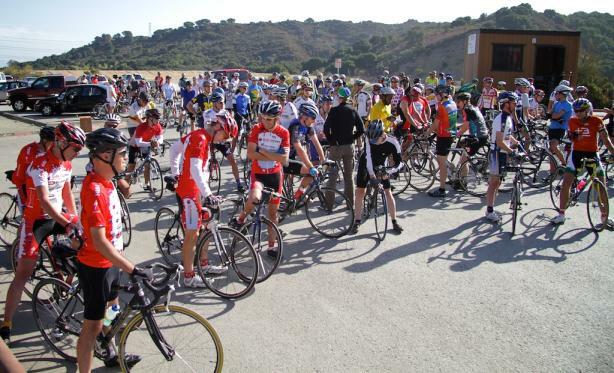 We are riding OLH on Saturday for week #2 of the LKHC series. I think I’ll be ready for it with my shiny new PR. Hopefully this time I’ll be on the happy side of the median. Me pulling Dan up the hill. Too bad I ended up blowing up and he beat me. Results are in and Palantir beat Google by 10 points. Doug carried the team and got 13th. I got just below the median time of 35:14 with a 37:01. Next week is OLH. Hopefully, I’ll put up a PR and be above the median. Climbed up Montebello today. 1940 feet in 37 min. Not bad, but I can do better. You are currently browsing the John Carrino blog archives for October, 2009.